MILWAUKEE, March 21, 2019 – Baird, an employee-owned, international wealth management, asset management, investment banking/capital markets and private equity firm, announced today that it has added Kevin Mullen as Director to Baird's Public Finance group. Mullen is based out of Baird's Milwaukee headquarters, located at 777 E. Wisconsin Avenue. Mullen joins Baird from Hutchinson, Shockey, Erley & Co. (HSE), where he built an extensive resume in municipal financing across the State of Wisconsin. During his 33 year tenure in the municipal bond industry, Mullen has provided tax-exempt financings for all types of municipal entities. He has represented more than 100 communities in meeting their financing needs. Mullen provided issuers with greater flexibility and interest cost savings by implementing creative structuring techniques. He was instrumental in developing a cash flow management program that dozens of school districts in the State of Wisconsin used to efficiently address their annual cash flow needs. Mullen earned a bachelor's degree in business administration with a specialization in finance from Marquette University and is a registered municipal representative with the Municipal Securities Rulemaking Board. 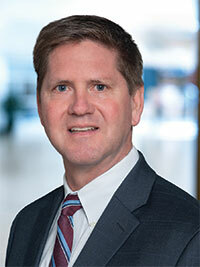 "We are very pleased to have Kevin join our team at Baird," said Brian Brewer, Director of Baird's Public Finance group. "Kevin has a strong track record of success in developing creative solutions for his clients. He will be an important member of our team as we continue to grow and strengthen our public finance team nationally." Baird Public Finance continues to grow through strategic recruitment efforts nationally. Mullen is the third senior hire joining Baird in recent months. To date, Baird has more than 75 professionals located in 15 offices across the country. "I’m thrilled to join Baird Public Finance," added Mullen. "I'm excited to work with a talented, highly-respected team and see what we can do together as we continue to provide the best possible client service to clients." Baird is a full-service broker-dealer firm that provides municipal underwriting and financial advisory services to K-12/ISD Education, Charter Schools, Municipalities, Counties, Special Districts and Authorities, States, Developers, Higher Education and Healthcare entities. In 2018, Baird served as the underwriter, placement agent or advisor on more than 1,075 municipal issues totaling nearly $25.5 billion. According to Ipreo MuniAnalytics, Baird ranked as the No. 1 municipal underwriter by number of issues in 2018. Specific to the Midwest, Baird ranks No. 1 in several categories in 2018 including overall based on number of issues and by par amount for issues $100 million or less. Since 2009, Baird has provided services to municipal issuers in all 50 states.